Despite the challenge of an iconic monster origins story movie that arrived during the month of Halloween -- Dracula Untold -- and three other new films, David Fincher’s Gone Girl repeated as the nation’s top movie at the weekend box office. 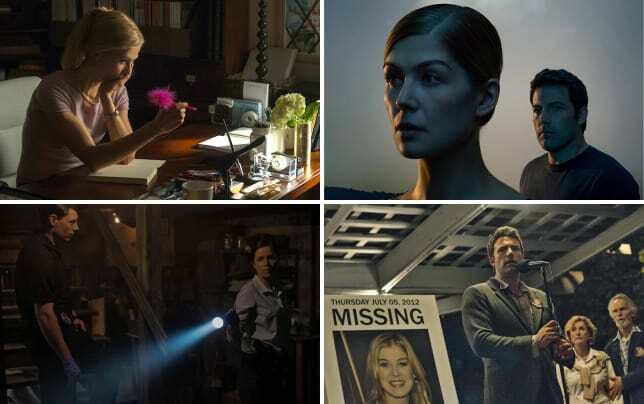 Gone Girl topped the charts again with $26.8 million, bringing its cume to $78.3 million. And just like last week, Gone Girl’s first week atop the box office, the top of the charts were filled with totals for the also-ran films that would win many weekends of the year. For example, Dracula Untold did land in second place with a solid $23.4 million take. And the family movie Alexander and the Terrible, Horrible, No Good, Very Bad Day scored in its first week of release with an impressive $19.1 million. A family movie banking almost $20 million during the school year? Disney has to be pleased with Alexander’s third place finish, given how much it made. That's $69.3 million earned by the top three movies. That's pretty darn impressive for a non-summer weekend. Annabelle just barely was last week’s top movie and came in second. This week it dropped to fourth, but still managed to do well with a $16.4 million haul that brings its two-week total to $62.2 million. Closing out the top five was another new movie, the Robert Downey Jr. and Robert Duvall starring The Judge. It made $13.3 million in its first week of release. Check out our favorite Gone GIrl quotes in the slideshow below, in honor of its big second week box office!